Tools are useful in every aspect of life, including SEO. SEO tools are used by industry veterans to help them research keywords, find potential backlinks, analyze links and even check for spam content. These tools by themselves will do nothing for you; there is no such thing as a silver bullet. With the proper knowledge and effort, however, these seven tools will make your everyday SEO tasks much easier. 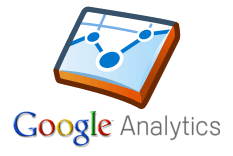 Google Analytics is hands down the most important SEO tool for professionals and amateurs alike. It’s completely free to use and provides you with high quality traffic analysis on your website. This means that you have a full breakdown of how your visitors got to your site, what keyword they used if they came through the search engine, how long they stayed on the page, and even if they returned at a later time. This information by itself isn’t that useful, but with a very creative mind, this information is pure gold. For example, if visitors aren’t staying on your site for very long, then you need to find out what’s wrong with your site. Your information might be boring visitors off your page, or you could just have an unattractive site that turns visitors off. It’s all about checking the metrics and seeing if they make sense. 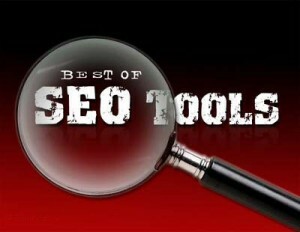 Raven’s SEO Tools is a full line of tools that will all improve your SEO efficiency. 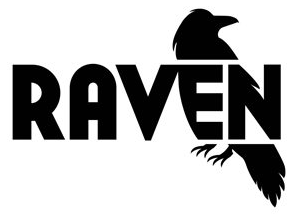 In general, Raven’s tools are well regarded in the industry and integrate very well with other tools that you might already own. Raven’s SEO Tools set out to provide users with all the data they need in one central location by gathering data from places such as Google Analytics, SEMRush, MajesticSEO, SEOmoz and much more. Raven’s SEO Tools succeeds on all counts for being one of the easiest to use and most well put together SEO tools ever. Open Site Explorer is completely free to use, but there are features that require payment. This freemium model works well with the site since you are able to run 3 reports a day, which is enough for small time SEO work but not nearly enough for large SEO jobs. These reports tell you all about the backlinks pointing to a given site, or URL. With this information, you can see where your competitors are getting all their backlinks from, and steal them. Open Site Explorer doesn’t stop there; you also get additional information about these backlinks to help you decide which ones you want to obtain for yourself. This information includes anchor text, domain authority and page authority. Link Diagnosis is similar to Open Site Explorer, except it’s completely free. All you have to do is install the Firefox extension to see the full results of your search. Without the extension installed you are limited to only 250 backlinks at a time. With the extension installed there is no limit, and you are able to display information such as mozRank, domain authority, page authority, anchor text, outbound link count and link strength. Copyscape is the go to tool when searching for plagiarized content. Copyscape is typically used for two reasons. First of all, it allows you to find out when someone copies the content on your site without your permission. Secondly, it allows you to find out if the content you purchased was copied or if it’s all original. Having your content stolen and receiving duplicate content can hurt your site, and Copyscape can help protect you from both. Google’s very own Keyword Tool is one of the most popular free tools available online. You are able to input a list of keywords or a URL, and it will return a full list of extra related keywords along with their search volume. While this tool is easy to use, it does lack some features of its paid counterparts. For example, you are unable to research SEO competition, but you are able to view advertising competition. Overall, it’s a quick and easy to use while still being a very powerful tool. SEMRush was specifically made to assist in keyword research. You can analyze all kinds of metrics for keywords, even from your competitors. You can find out what keywords your competitors are targeting, how competitive they are, and decide if they are worth stealing for your own site. With SEMRush, you are able to strategically decide which keywords are worth your time, and which ones aren’t worth the trouble. 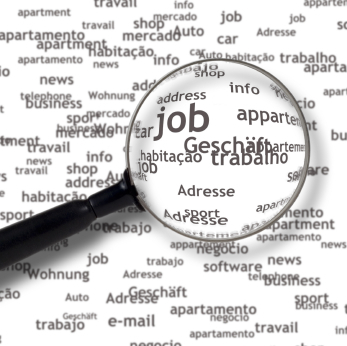 This tool can save you both money and time since it helps you find only profitable keywords. About the Author: Richard Hasson is SEO Analyst and a part time blogger. He was hired by many reputed companies in order to improve their rankings and get more visitors and potential clients. In this article Richard shared with us some of his great tips about most useful time saving SEO tools, which helped him to made very successful SEO campaign for one of his clients, http://www.newyorkstatedivorce.com , well known New York law firm. There’s also Positionly which is a relatively new player, but already a real alternative to pro SEO tools (Raven, Seomoz, and such). I’ll include it at the earliest! Thanks for bringing it to my notice.